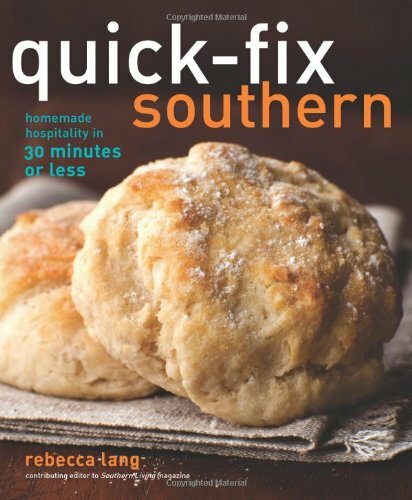 In Quick-Fix Southern, Rebecca Lang, cookbook author and contributing editor for Southern Living magazine, promises homemade hospitality--Southern style--in 30 minutes or less. Lang dishes up 115 recipes grouped in 10 themes ranging from Rise and Shine breakfasts to Sipping on the Screened Porch beverages, Girls' Night In party pleasers, and Southern Sweets desserts. In addition to photography, the book features cooking and preparation time for the effortless recipes.